As the number of bitcoin-friendly merchants grows, so does the number of items and services users can get for bitcoin. It can now buy you a pricey Alienware gaming laptop, some home furnishings at Overstock or lunch and a couple of drinks in a number of establishments around the world. Here we look at unconventional and cool gadgets that accept bitcoin. They are still few and far between, but they offer a glimpse into the future and demonstrate that digital currencies can augment or even replace cash in the vending machine industry and a few other niches. Smart vending machines have been around for a while, but only a handful of companies have decided to add bitcoin functionality to their designs. Upstate Networks pioneered the concept with its Bitcoin Vending Machine, which was showcased in early 2012. London-based Aeguana is marketing a new vending machine that supports a wide range of payment methods including bitcoin. The machine has a spec sheet that wouldn’t look out of place in the PC of yesteryear. It measures 1000 x 400 x 250mm and weighs 38kg, which is relatively compact for a vending machine. The device sports a 15.6-inch 1366×768 advertising display, stereo sound, optional WiFi and 3G/GPRS connectivity. So why is it so small? Aeguana insists coins belong in the past, so the machine is designed from the ground up to rely on contactless chip or swipe cards and, of course, bitcoin. 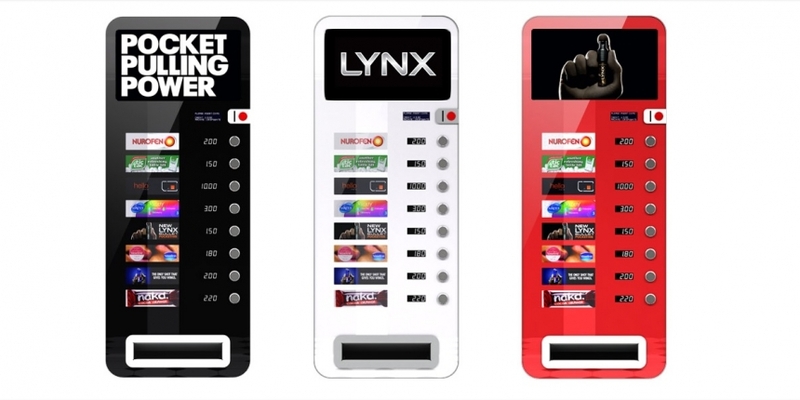 Therefore, there aren’t that many mechanical components inside and the final product can be a lot smaller than traditional coin-operated vending machines. 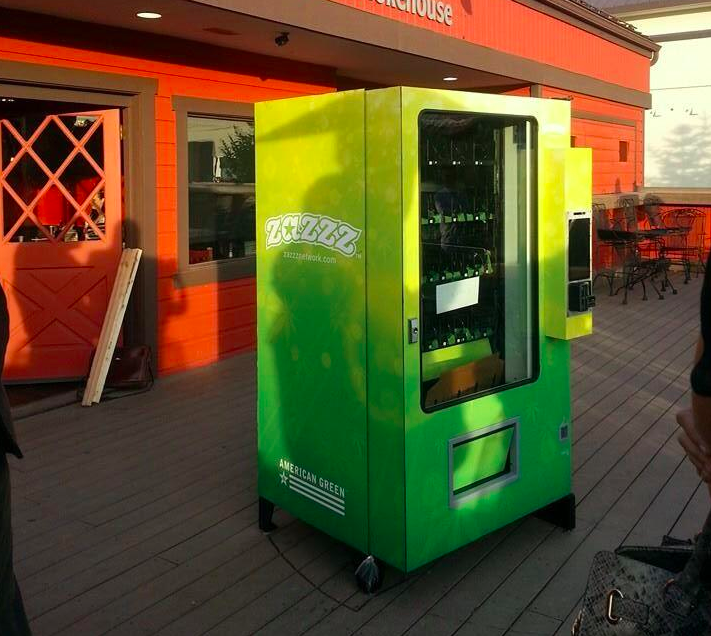 American Green decided to integrate bitcoin support into its ZaZZZ vending machine. What sets it apart from the rest of the field is the fact that it dispenses marijuana rather than sodas and candy. The ZaZZZ was designed for the US states with a liberal attitude towards marijuana. It was demonstrated in Colorado in April. California-based Bitcoin Kinetics is developing a vending machine for cryptocurrency users. The company already offers a number of bitcoin machines, including the Bitcoin Kinetics BitWasher, its $1,950 washing machine. 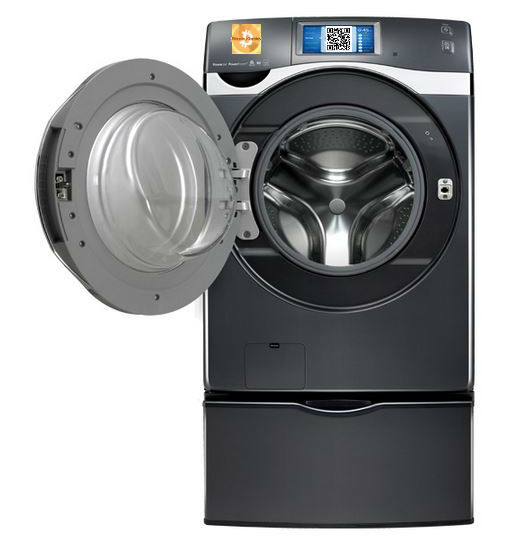 The commercial grade washing machine is based on a Samsung washer-dryer. The brains of the operation come from Intel, in the form of an Intel Edison board. Bitcoin Kinetics also supplies vending machines, ticket machines, parking meters, ATMs, payment kiosks, personal payment devices and arcade payment devices. While we are on the subject of DIY, Bitcoin Kinetics offers a unique product that can transform many machines capable of accepting money into bitcoin machines. BitSwitch is a self-installed bitcoin hardware payments system. It is available on Arduino, Raspberry Pi and Intel Edison hardware. GSM, Ethernet, Bluetooth, NFC, RF and WiFi connectivity is available, along with touchscreens and other add-ons. The basic kit, which includes an Arduino board, relay, wires and power supply, costs $55 plus shipping. 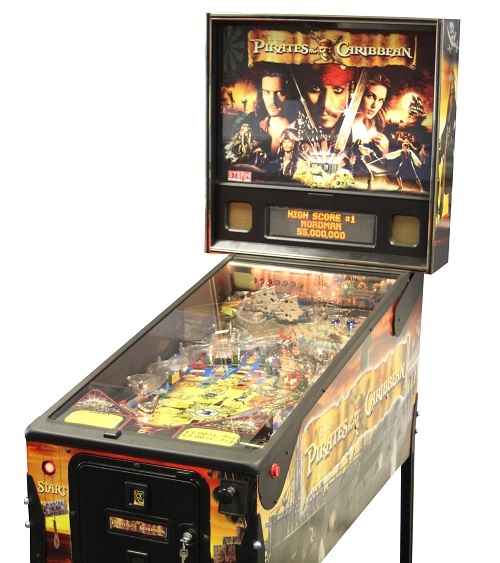 Liberty Games’ bitcoin pinball machine, inspired by gaming company Stern’s, is reconditioned by Liberty Games technicians with added bitcoin support. The machine is based on a Raspberry Pi board. Liberty Games is not new to the world of bitcoin. Earlier this year the company announced a bitcoin-operated arcade machine and last year it developed a bitcoin pool table, complete with a QR code and LCD screen. One potential application for bitcoin involves an industry that keeps the world running. Some gas stations have started accepting bitcoin this year, but there is still no dedicated hardware for this niche. This basically means you can fill up for bitcoin in Colorado or in Malaysia, but you have to pay for your gas at the counter elsewhere. 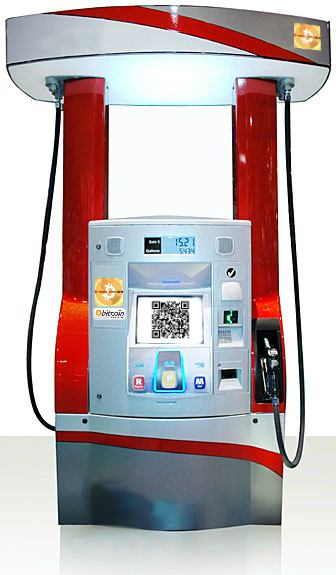 Although a fully automated bitcoin filling station has not been deployed yet, Bitcoin Kinetics is developing one. BitPumper is based on the company’s BitSwitch and it can be retrofitted to existing pumps by attaching a relay board and a controller board. When the customer makes a transaction and it is verified the hardware starts pumping the fuel. The system is not available commercially yet.